Experts in designer wall decor, quality vinyl wall stickers, posters, car decals and much more! 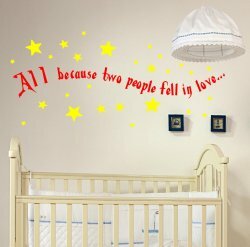 Sweet vinyl wall quote will look amazing above a baby's cot or applied on a nursery room door. Beautifully crafted design twists up and down to create depth and the surrounding twinkly stars will catch a baby interest. 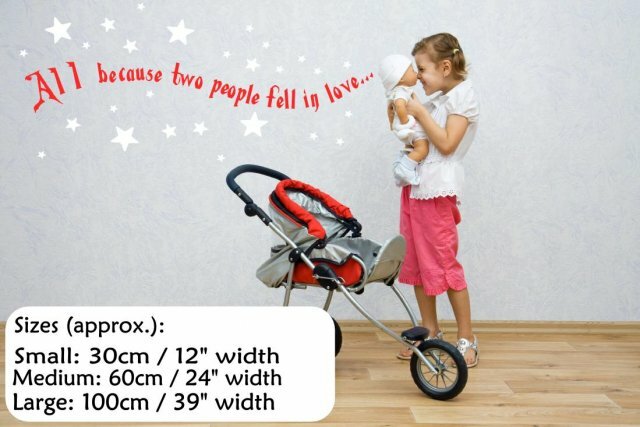 Ideal gift for new parents! 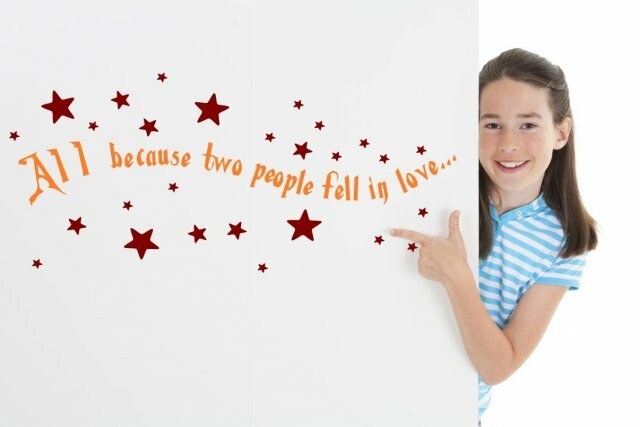 Made to order, easy to remove without damaging the surface underneath and difficult to peel of by a child make this vinyl wall sticker the perfect decorating tool. No DIY experience necessary. Just follow our easy instructions and you will surprise yourself at the fabulous final effect.